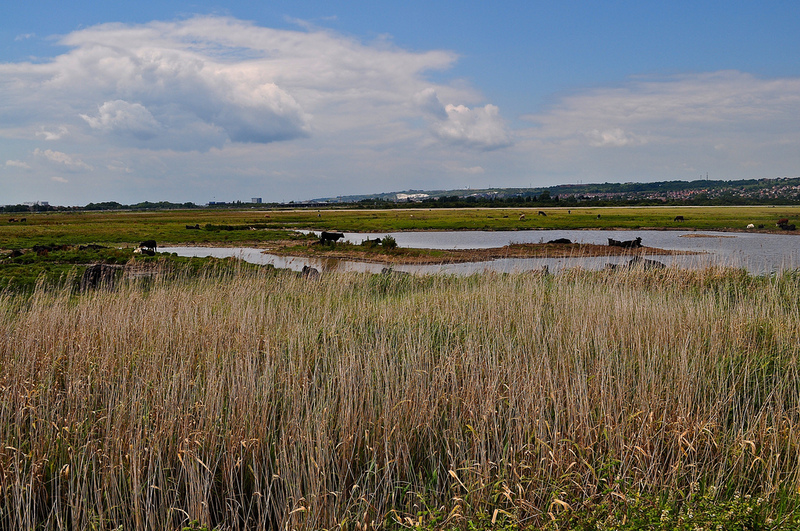 If you have ever wondered what lies between the A3 motorway and the Eastern Road, then wonder no more for this is Farlington Marshes, Managed by the Hampshire & Isle of Wight Wildlife Trust, this is their oldest nature reserve and it stretches from the northern shore of Langstone Harbour between Portsmouth and Havant to the A3 itself. 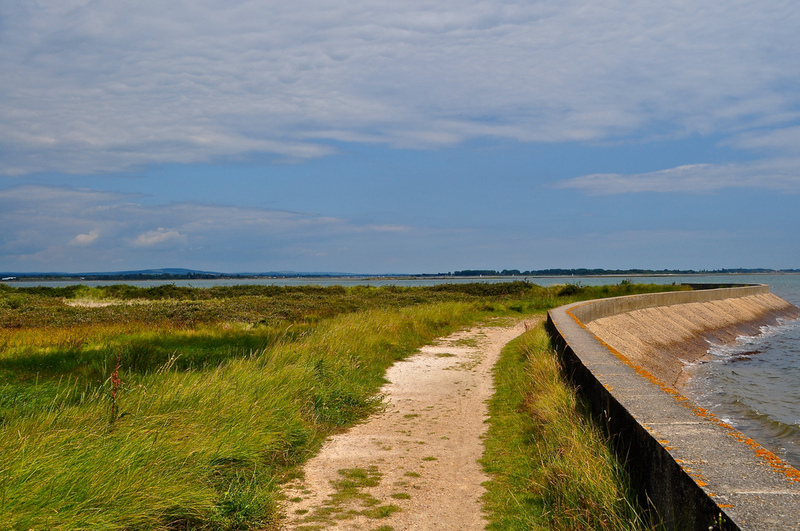 On the northern rim, cyclists can be seen zooming along the Portsmouth to Havant cycleway – there’s no cycling within the reserve itself. 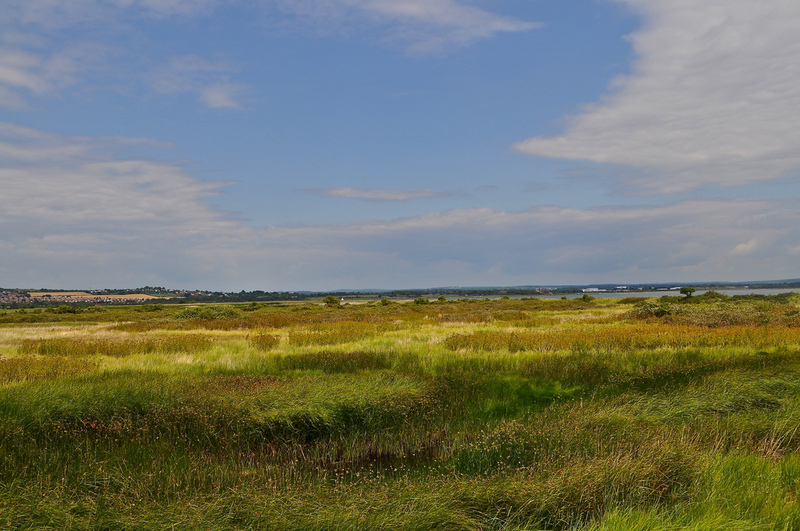 This marshland is internationally important for the bird population that it supports (its listed SSSI – Site of Special Scientific Interest), as well as offering wonderful scenic views over the wild flower blooms and the sea beyond. It was embanked from the sea in the late eighteenth century and has been in use for grazing without any artificial fertilisers or pesticides for over 200 years. This has in turn lead to the diverse ecology found across the site today. 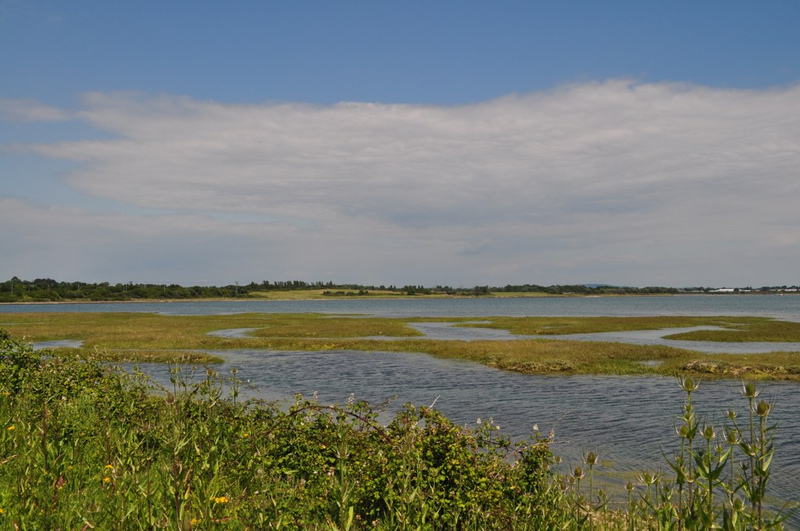 It’s future may be in the balance however with changes in weather patterns and rising sea levels – hopefully, given its significance to wildlife, it will be maintained. Let’s keep all fingers crossed that this will be the case. Anyway, as you walk around, Portsmouth, Hayling Island and the hills of Portsdown form the perfect backdrop to any vista. You are accompanied on your walk by a large number of inquisitive wildlife and on the sea side, by the occasional canoeist, working their way around the various natural islets in the channel. 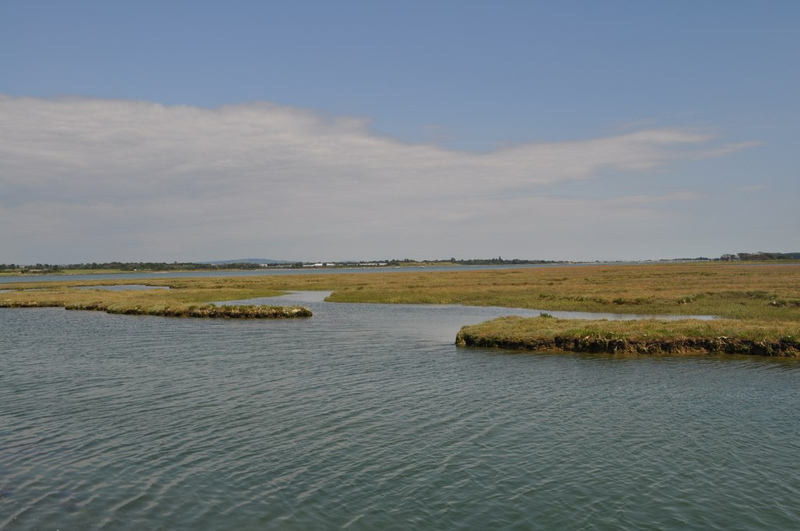 The land is predominantly coastal grazing marshland, with mudflats and a lagoon with several pools which are both freshwater and brackish. 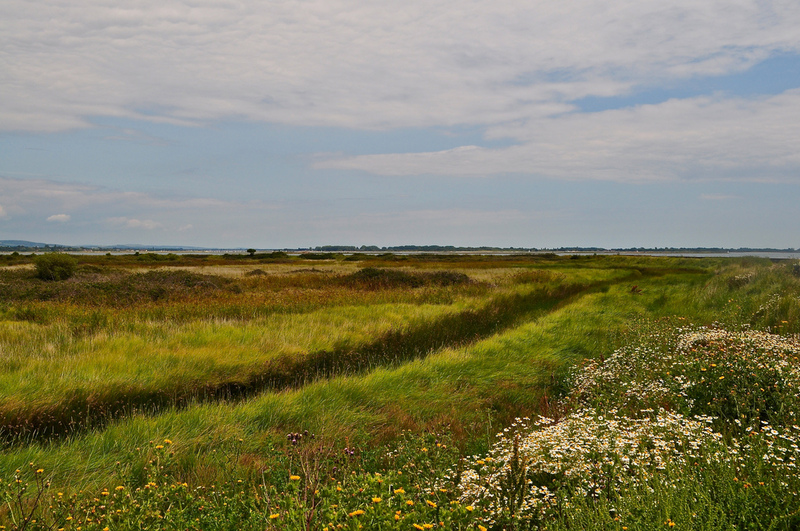 It also has a broad stream that provides feeding and roosting sites for waders and wildfowl. 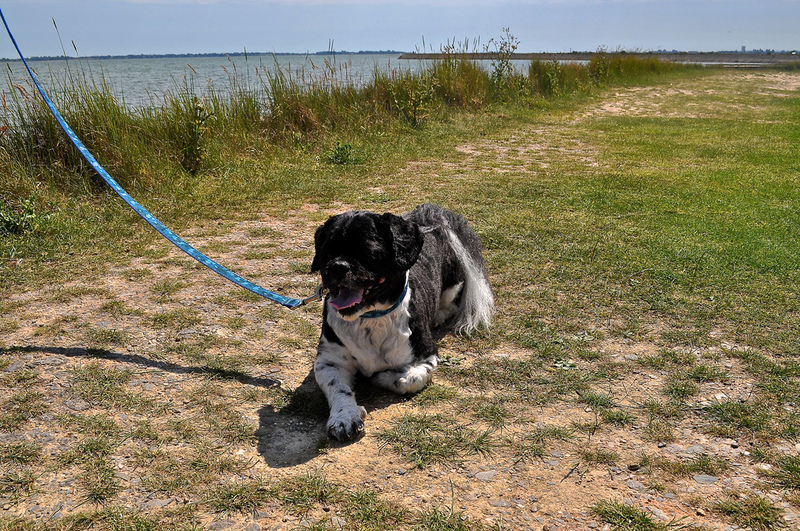 We normally park up and walk with The Hound (who must be kept on a lead), taking the looped path along the embankments around the entire reserve. It’s around a 4 km walk (around 2.5 miles) with benches every 300 m or so – some with information boards about the area. 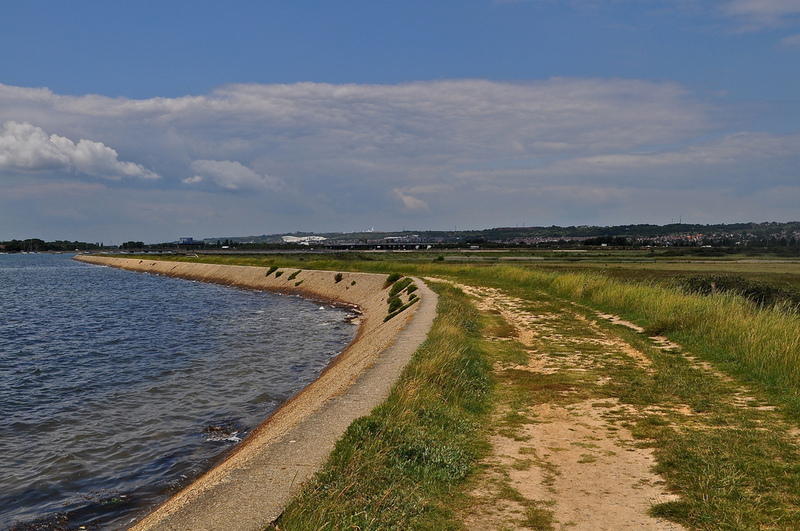 The sea wall part is a little rough in parts and it can be muddy so sturdy footwear is recommended – or wellies on occasion. The Hound has designated it a four paw walk – his fifth paw is held back as he would love to bomb around without a lead but of course, this is forbidden! Check out the website for what to see and any events that might be arranged. 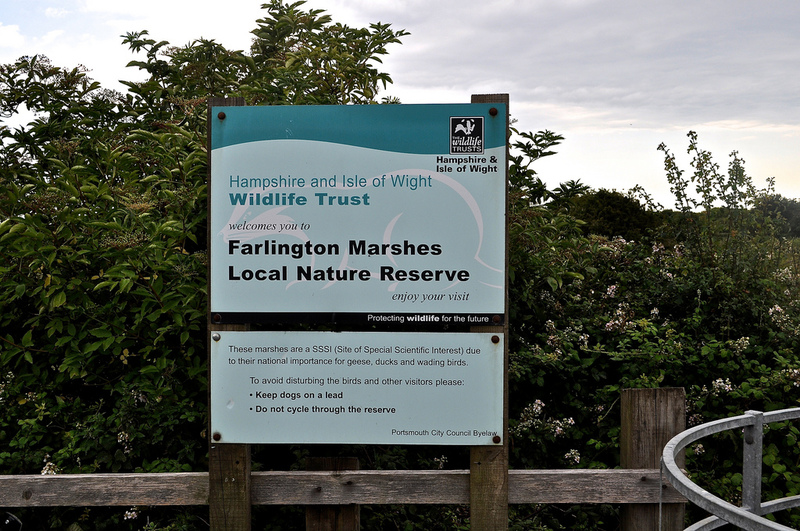 Hampshire & Isle of Wight Wildlife Trust, Farlington Nature Reserve, Portsmouth, Hampshire, PO6 1UN. Tel: +44 (0)1489 774 400. 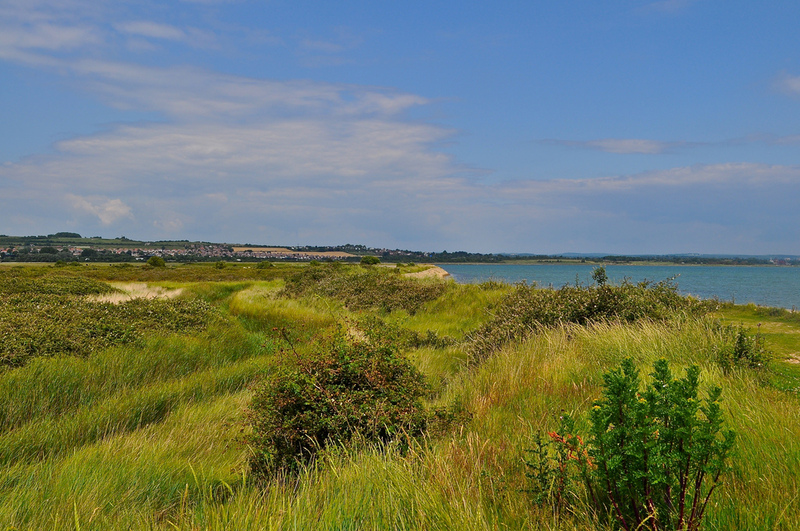 Become a fan of them on Facebook/Hampshire & Isle of Wight Wildlife Trust and follow them on twitter: @IWWildlife.